One Pager announcing Kickstarter passing the $1bn pledge mark. The page is filled with interesting stats and slick infographics that load as you scroll down. What an incredible business. 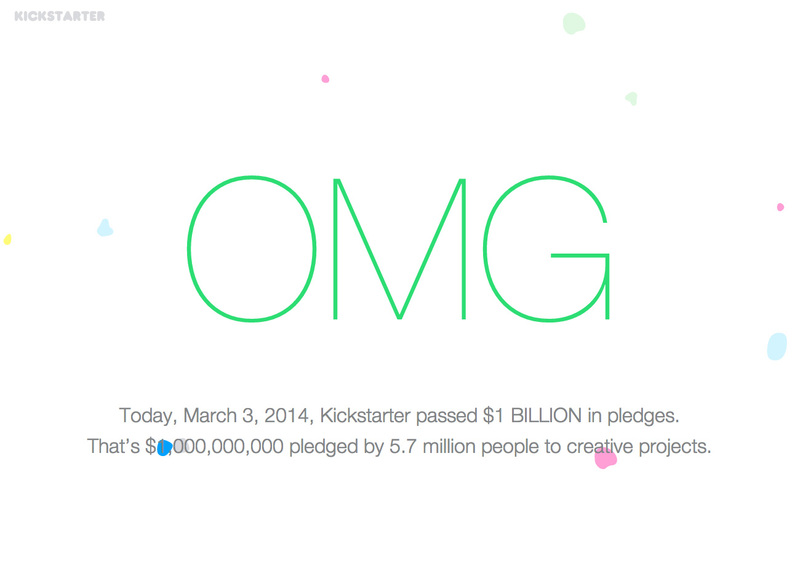 Today, March 3, 2014, Kickstarter passed $1 BILLION in pledges. That’s $1,000,000,000 pledged by 5.7 million people to creative projects.